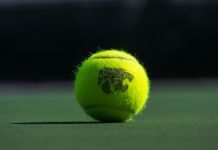 The Kansas State tennis team traveled to Houston to compete against Rice University on Sunday, but the Wildcats were unable to pull off a victory this weekend. The Wildcats’ record is now 3-2 in their spring season after losing to Rice 6-1 at the George Brown Tennis Center. 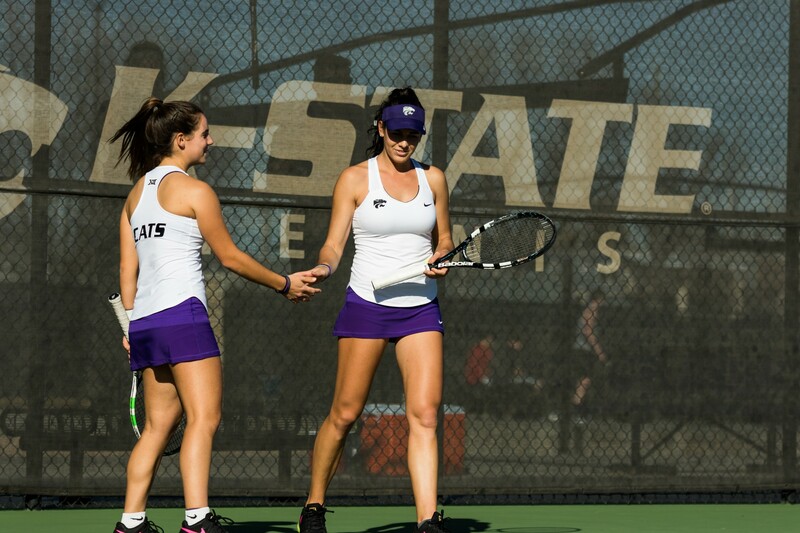 The doubles competition started off the day, and K-State was swept by Rice in two matches. In No. 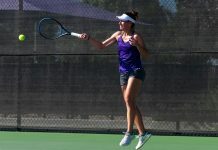 1 doubles, the K-State duo of sophomores Margot Decker and Anna Turco fell 6-4 to Rice’s Michaela Haet and Linda Huang. In No. 2 doubles, Rice’s Anastasia Smirnova and Priya Niezgoda defeated Wildcat freshman Karine-Marion Job and junior Ines Mesquita 7-5. In singles competition, K-State was only able to end the day with just one win in seven matches. This part of the day started with No. 4 singles, where Rice’s Anna Bowtell defeated K-State freshman Maria Ponomareva 6-0, 6-2. No. 3 singles were won by Rice’s Victoria Smirnova over Turco 6-2, 6-0. Next, Niezgoda took the No. 6 singles victory over K-State freshman Ioana Gheorghita 6-1, 6-3. Rice’s Haet then beat Decker 6-4, 6-3 in No. 1 singles. The lone win of the day for the Wildcats was Job defeating Huang 7-6 (7-1), 6-4 in No. 5 singles. The final match of the day was No. 2 singles where Smirnova defeated Mesquita 7-5, 1-6, 1-0 (10-5). The next action for the Wildcats will be on Friday when they travel to Denton, Texas, to play North Texas, beginning at 2 p.m.